The Oklahoma Aeronautics Commission (OAC) will meet Thursday to discuss several agenda items including the agency’s report on legislative, congressional and regulatory updates. A presentation of the commission’s state legislative agenda for the 2017 session will be at the forefront including discussion on the increase of the state’s aviation fuel tax, addressing exceptions to charter aircraft abuse on excise tax, and Unmanned Aerial Systems (UAS) state regulation beyond the Federal Aviation Administration (FAA) Part 107 rule. Also being discussed is clean-up language for the Aircraft Pilot and Protection Act (APPPA), a license plate for Aviation/Aerospace establishing a fund for aviation education throughout the state, and resolutions supporting aviation in Oklahoma. 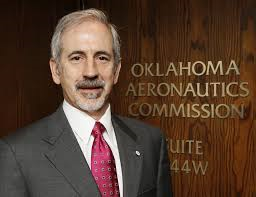 Director Vic Bird will apprise the commission on previous events attended such as the ribbon cutting for the dedication of the new Boeing laboratory and the Oklahoma City Chamber Luncheon regarding the status of the Air Force Sustainment Center at Tinker Air Force Base. He will update the commission on the Unmanned Systems Alliance of Oklahoma (UAS-OK) Annual Meeting, Dinner & Summit and the Stillwater Regional Open House to mark the beginning of commercial service to/from Dallas-Ft. Worth. He will conclude his director’s report with the approval of amendments to administrative rules regarding airport grants and local match on Non-Primary Grants and the realignment of duties in the Airport Development Division. The commission will be apprised of the Oklahoma Aviation Economic Impact Study that was previously approved, and the outcomes expected at the conclusion of the study. The commission will also consider grants for Guymon Regional Airport, Richard L. Jones/Riverside in Tulsa, and Davis Field in Muskogee. Topics will cover important events and activities of the agency in a report to the commission. · The Oklahoma Aeronautics Commission (OAC) is an agency of state government that is responsible for promoting aviation in the State. Under the supervision of the Oklahoma Secretary of Transportation, the Commission fosters the growth of the aerospace industry and ensures that the needs of business and communities in the State are met by the State’s airports. The Commission encourages the establishment and maintenance of public airports, including the preservation and improvement of the State’s 110 public airports. 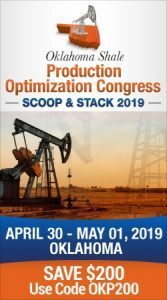 · The Oklahoma Aeronautics Commission’s mission is to promote aviation, which includes ensuring that the needs of commerce and communities across Oklahoma are met by the state’s 110 public airports that comprise the state’s air transportation system, and ensuring the growth and vitality of the state’s aerospace industry. · The Commission is composed of seven members, each appointed by the Governor of Oklahoma, serving six-year terms. Five members are appointed from among Oklahoma’s five congressional districts with the remaining two appointed at-large. The Commission is responsible for appointing the State Director of Aeronautics to serve at its pleasure. The current Director is Victor Bird, having served in that position since December 2002. · The Commission was established in 1963 during the term of Governor Henry Bellmon.